The project occupies a total GFA of 12,225 sq.m.. Construction of the project was completed in October 1998. The project occupies a total GFA of 11,164 sq.m.. Construction of the project was completed in August 2005. The project occupies a total GFA of 171,071 sq.m.. Construction of the project was completed in January 2009. The project occupies a total GFA of 241,695 sq.m.. Construction of the project was completed in April 2013.
International Office Center is expected to comprise three plots including plot A, B and C, and is expected to be an integrated commercial complex. Plot A3 of the project occupies a site area of 39,060 sq.m. with a GFA of 327,996 sq.m.. Construction of plot A3 was completed in 2015. Plot A3 comprises decorated serviced apartments, some commercial properties and is planned to introduce a high-end hotel. 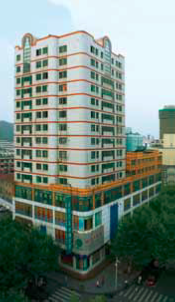 Zhong An Times Square is an integrated commercial - residential complex, which comprises two phases. Phase I of the project has a site area of 65,159 sq. m. with a total GFA of 305,473sq. m.. The construction of Phase I of the project is expected to be completed in the second half of 2016. Phase II of the project has a site area of 71,519 sq.m. with a total GFA of 322,935 sq.m. The construction of Phase II of the Project is nearly completed. 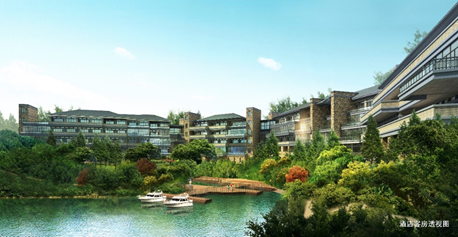 The site area of Hangzhou Qiandao Lake Hotel Project is approximately 119,398 sq. m with an estimated GFA of 46,691 sq.m. Construction of the project is expected to be completed by the end of 2016. 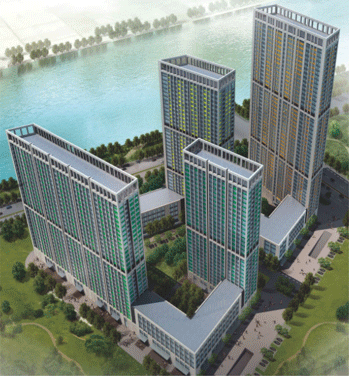 Cixi Ningbo Land has a site area of approximately 49,804 sq.m. and an estimated total GFA of approximately 159,510 sq.m. for commercial purpose. Construction of the project is expected to be completed in March 2017. 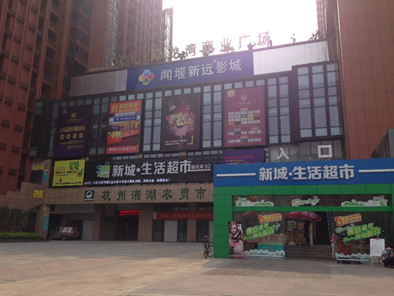 The site area of commercial portion of the Chaoyang Community Site is approximately 10,541 sq.m. with an estimated GFA of 53,033 sq.m.. The site area of International Office Center Plot A1 is approximately 25,533 sq.m. 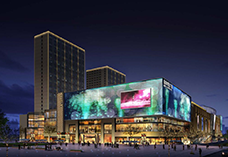 with an estimated total GFA of 341,838 sq.m. and is expected to be an integrated commercial complex. 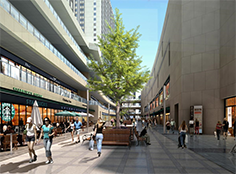 The site area of International Office Center Plot A2 is approximately 28,017 sq.m. with an estimated total GFA of 128,590 sq.m. and is expected to be an integrated commercial complex. 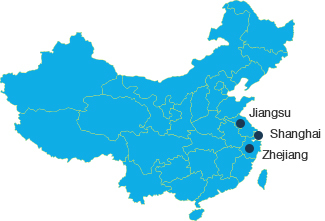 The site area of Jiangcun Land is approximately 39,703 sq.m. with an estimated total GFA of approximately 59,555 sq.m. which is expected to be used for office and commercial purposes. The site area of International Office Center Plots B and C is approximately 207,390 sq.m. with an estimated total GFA of 1,098,065 sq.m. 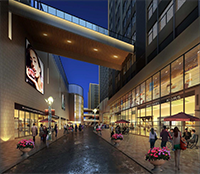 and is expected to be an integrated commercial complex. La Vie comprised a total GFA of 341 sq.m. 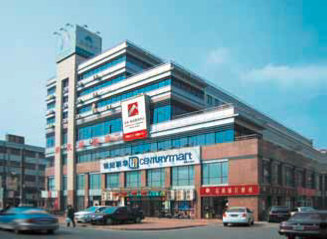 of retail units, of which 341 sq.m. were held for investment. 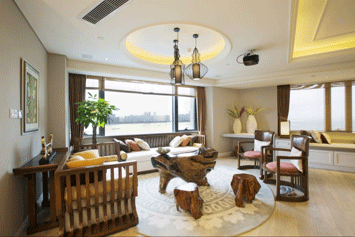 The site area of Huaibei Hotel is approximately 60,768 sq.m. with an estimated total GFA of 67,061 sq.m.. Construction of the project is expected to be completed by March 2017.